With 2011’s “Captain America: The First Avenger” and “Thor” basically serving as glorified promotional pieces for 2012’s $220 million superhero collaboration “The Avengers”, the thought of these characters venturing out on their own again wasn’t exactly exciting. Even 2010’s “Iron Man 2” was a big disappointment, the most interesting aspect of the film being the lead-in to Tony Stark’s involvement in the Avengers Initiative and the introduction of some new characters who would later be integral to that story arc. Entering what they’ve dubbed Phase II in their cinematic universe – a.k.a, killing time until the gang gets back together in “Avengers: Age of Ultron” in 2015 – Marvel Studios released last year’s “Iron Man 3″ and “Thor: The Dark World” (the former being a return to good form for the eccentric billionaire/genius courtesy of writer/director Shane Black and the latter another middling solo outing for the God of Thunder). 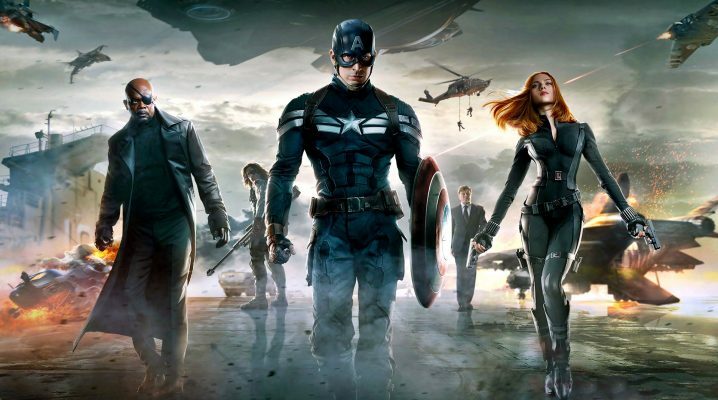 Now, “Captain America: The Winter Soldier” hits theaters, getting the 2014 summer season rolling a good two months early, finding Captain Steve Rogers being called to duty again by S.H.I.E.L.D. director Nick Fury. 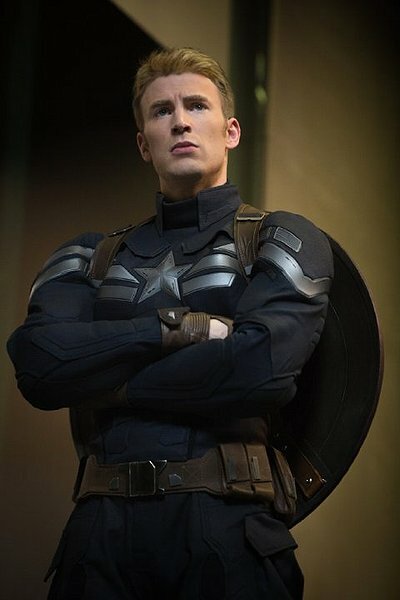 A very brief history, for those who aren’t aware: Selected for his valor, Rogers (Chris Evans) was genetically modified during World War II to be a super-soldier, left in a deep freeze after events in “The First Avenger”, awakened in modern times and recruited by Fury (Samuel L. Jackson) to save the world from a cosmic threat along with the Hulk, Iron Man and Thor in “The Avengers”. 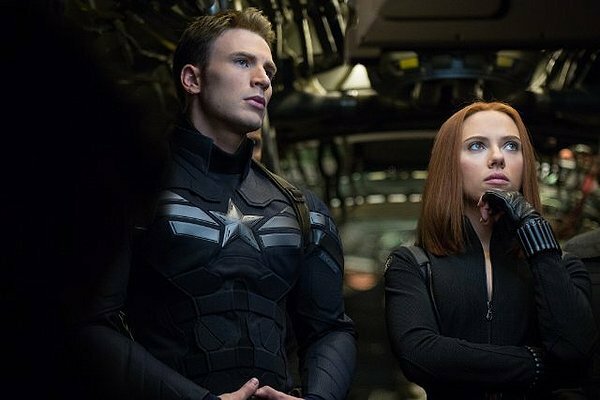 Now, our unusually healthy 95-year-old hero is ready to go solo again, and “Captain America: The Winter Soldier” is not only a massive improvement over its predecessor, it’s the best of the Marvel Studios films thus far. 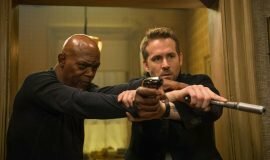 Summoned by Nick Fury to thwart hijackers aboard a S.H.I.E.L.D. boat, Rogers promptly dispatches the threat along with fellow Avenger Natasha Romanoff, a.k.a. Black Widow (Scarlett Johansson) and a strike team led by friend Brock Lumlow (Frank Grillo). During their mission, Romanoff retrieves information stored in one of the vessel’s computers, which contains encrypted data that later gets Fury gunned down on the streets of Washington, DC. Having no answers since he wasn’t briefed on Romanoff’s side operation, but suspecting some kind of foul play within the ranks, Rogers is deemed a traitor by Fury’s friend and S.H.I.E.L.D. higher-up Alexander Pierce (Robert Redford), who orders his termination. Now on the run in Washington, DC, Rogers joins forces with Romanoff and a retired soldier named Sam Wilson (Anthony Mackie), who has special knowledge of a winged jet pack that he used in combat. With only a handful of people to trust, and up against a formidable cyborg-like opponent called the Winter Soldier (Sebastian Stan) who has the strength and agility of Rogers, they rush to thwart a massive plot to exterminate millions of people who, as determined by an algorithm, will eventually pose a threat to national security. Explosive car chases, dog fights in aerial suits and waves of machine gun fire are never far apart in “Winter Soldier”, which, after a borderline hokey origin story and subsequent screen-sharing with several other heavy-hitters, finally gives Captain America the chance to operate in a reasonably realistic modern setting (no Asgardians or Nazis here). But the film is also smart and involving, managing to be surprisingly astute while never forgetting that it’s a superhero movie. And the characters are not introduced merely to show off an impressive ensemble; one might never have imaged Redford in a comic book movie. 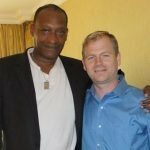 His Alexander Pierce is a political chess master, the likes of whom you might find on a show like “House of Cards”, and the perfect character to keep the film teetering between implausible and disconcertingly insightful. Other new characters, like Anthony Mackie’s Wilson (a.k.a. Falcon) are not there for show, either, and like how “Winter Soldier” fits into the fabric of the continuing “Avengers” arc more naturally and relevantly than any previous peripheral films, they will continue to grow with the series. Sebastian Stan gives depth to the sub-titular villain, a killing machine with ties to Rogers’ past who destroys half of DC to get his targets. “Captain America: The Winter Soldier” is the most visually stunning action film in the Marvel canon, with tons of practical effects and terrific but not overpowering CGI, and brothers Anthony and Joe Russo clearly have a knack for directing action. 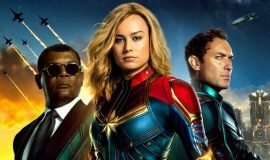 The script by Christopher Markus and Stephen McFeely injects an aging superhero with new life, but they aren’t afraid to embrace his old-school patriotism, even bringing back his brightly colored red, white and blue digs for the big finale (a showdown onboard three massive airborne helicarriers). Chris Evans has always been the perfect man for the job, but not until now – his third in a six-film contract – have we had a chance to see his full potential as a leading action hero. Note: Avoid seeing this movie in 3D. It’s a post-production conversion, and as usual, the image is darkened to a degree that makes the night scenes very difficult to see (including a pretty fantastic opening sequence on the hijacked boat). The moments that do benefit from the added depth are too few and far between to make it worthwhile. Also, be sure to stay all the way through the end credits (a given for Marvel films). There are two additional scenes, one that teases next year’s “Avengers” film and one that sets up the next “Captain America” installment. In addition, this week’s episode of ABC’s “Marvel’s Agents of S.H.I.E.L.D.” was tailored to wrap around the storyline in “Winter Soldier”, so you might want to keep in on the DVR until after you’ve seen the movie (though it manages to be fairly un-spoilery). I would like to see thor and loki in the next disney infinity game, i think if they are not in there alot of loki fans will be disappointed.